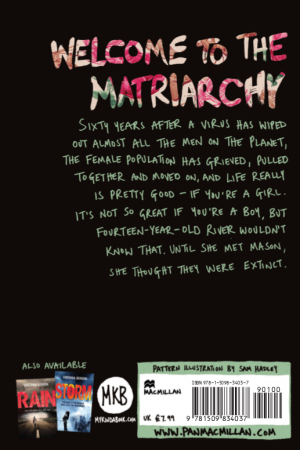 Sixty years after a virus has wiped out almost all the men on the planet, things are pretty much just as you would imagine a world run by women might be: war has ended; greed is not tolerated; the ecological needs of the planet are always put first. In two generations, the female population has grieved, pulled together and moved on, and life really is pretty good – if you’re a girl. It’s not so great if you’re a boy, but fourteen-year-old River wouldn’t know that. Until she met Mason, she thought they were basically extinct. Reviews for Who Runs the World? Who Runs the World? is out in the world . . .
Interview with Judy Darley @ SkyLightRain here. Interview with Hayley Sprout @ The Reader’s Corner here. Talk and readings, then Q&A at BristolCon Fringe (adult audience of fantasy and sci-fi writers and readers): podcasts here. 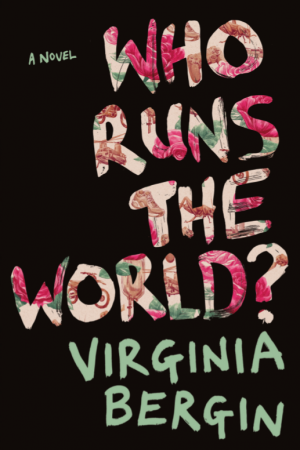 Inspiration behind writing Who Runs the World? on Macmillan’s My Kinda Book: article here. 10 Things I’d Like My Readers To Know About Me on Female First: article here. Q&A with School Zone on Reading Zone here.